Art Knapp Garden Centre in Surrey has a whole line of environmentally safe products to keep your plants growing and healthy. You may want to look down our aisle of specialty fertilizers for an extensive selection of organic fertilizers with kelp meal and blood meal, Miracle Grow, Art Knapp fertilizers, Gaia Green (organic), Plant-Prod, fertilizer stakes, slow release fertilizers, immediate release, and more. All the fertilizers and plant foods can be can used in conjunction with manure for optimum results. Ask for the Way to Grow brand of horticultural soils and mixes. They're Doctor Dirt approved! If you have a pest we can offer you several ways to eliminate it or at least keep it under control safely. We carry a complete selection of all your herbicide and pesticide needs as well as many environmentally friendly options and natural predators. Come talk to an expert today. (Bringing in a sample of your problem spot is always a good idea). Today’s gardeners want products that are more environmentally friendly and easy to use. The Green Earth line of products has been developed over many years, offering new and effective products. Green Earth products are available for those who wish to use garden friendly products. Green Earth products have been selected for their low toxicity, minimal impact and soluble nature. Greenstar Plant Products Inc. is a green technology company. A clever hybrid, Greenstar manufacturers its own premium line of garden-related products and rounds out its wholesale offering by distributing other complementary goods. 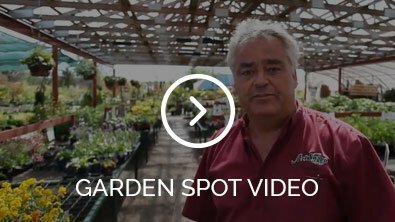 We provide more than 900 products ranging from growing mediums, soil amendments, plant nutrients and supplements, to decorative planters, garden accessories, and horticultural lighting. We carry a large number of the Safer Brand products. Safers specializes in nature friendly solutions to pest and weed problems, please visit our extensive catalogue of Earth friendly products. Mother nature has strategies to deal with insect and disease issues without the use of synthetic chemicals. Organic pesticides are ideal for the consumers who want a chemical free garden. We carry an extensive line of Wilson pest and weed control solutions. If your trying to get rid of ants or aphids, rats or wasps, slugs or snails we can help.